The Health Service System administers health and wellness benefits for over 112,000 municipal employees, retirees and family members. HSS serves employees and retirees from four employers: the City & County of San Francisco, the San Francisco Unified School District, City College and the San Francisco Superior Court. As part of its service to the community, SFHSS hired Circlepoint to provide on-call services for outreach, graphic design, and web development. Circlepoint worked closely with SFHSS to create web pages and engaging collateral for a variety of health projects, including the Diabetes Prevention Program, the Well-Being Assessment, the Colorful Choices Campaign, the Physical Activity Challenge, and the Well-Being@Work program. The Diabetes Prevention Program web pages were created to inform employees about this opportunity and how to participate in the DPP study, and provide educational links about diabetes. Circlepoint took information vetted by SFHSS staff and created six web pages that fit within the larger architecture of the agency’s website. 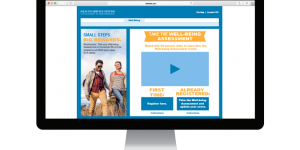 The Well-Being Assessment web pages were created to promote the yearly well-being assessment and Daily Challenge program to encourage participation. For these pages, Circlepoint helped hone content and develop messaging, then used that content to create four web pages that were embedded in the website. 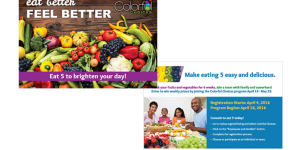 The Colorful Choices Campaign collateral and web pages were designed to encourage employees and retirees to participate in the program and eat more fruits and vegetables. 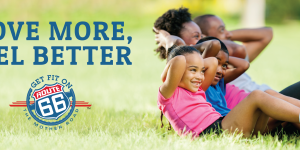 Circlepoint created taglines and an overall look and feel for the campaign that was in line with the national Colorful Choices logo. From there, the team executed five web pages that explained the challenge and encouraged people to sign up. 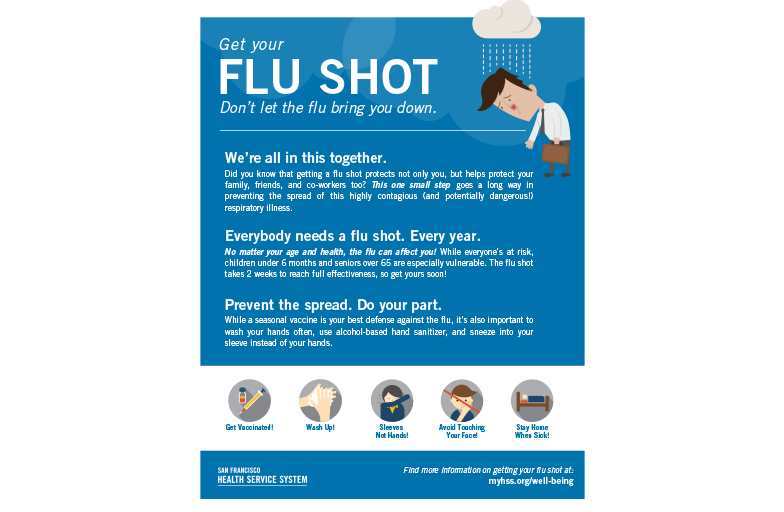 We also created collateral including posters, postcards, flyers, and emails for campaign champions to use when reaching out to staff. 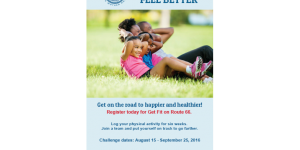 The team executed similar web pages and collateral to promote the Physical Activity Challenge for the department. 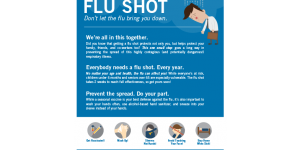 We also created collateral, web pages, and an interactive web calendar for the Open Enrollment and Flu events for October and November 2016. 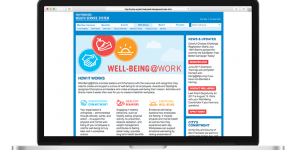 Circlepoint also created branding, collateral, and web pages for a new Well-Being@Work program. We worked closely with the department to create the name and overall campaign look and feel for this project, based on their target audiences. We also drafted key messaging and taglines to use across all collateral and web pages. We then built out a full suite of collateral, including awards, brochures, a printed calendar, and flyers, and 10 web pages to house all the information for this new program.